If you live in Bozeman MT or the surrounding areas and want a company that can provide green cleaning services for your home, call Pro Carpet Cleaners today. We focus on providing excellent service to our cleaning customers and we use hypo-allergenic products that are safe for you and your family. 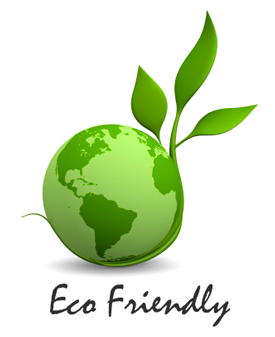 Pro Carpet Cleaners provides a number of green cleaning services that are eco-friendly for pets and kids in your home. These services include carpet cleaning, tile and grout cleaning and sealing, upholstery cleaning, hardwood floor cleaning and sealing, vinyl and laminate floor cleaning and sealing and concrete cleaning, staining and sealing. You can have all these services done or pick and choose the ones that best fit your needs and budget. By far, the best carpet cleaner I have had in Bozeman! He was extremely knowledgeable, very professional, friendly and skilled. He definitely went above and beyond, cleaning a lot of area for a reasonable price. This guy is awesome!! Very friendly, trustworthy, and professional. He did a wonderful and thorough job cleaning our carpets and got all the stains out! Will definitely be using him again in the future!! Pro Carpet Cleaners employs only experienced and professional technicians who are up to date on the latest cleaning techniques. And to ensure your family's safety, we use only the safest and most superior equipment and cleaning solutions that are hypo-allergenic and eco-friendly for pets and kids. If you live in Bozeman, MT or the surrounding area and are looking for a considerate, experienced company to do green cleaning for you, then give Pro Carpet Cleaners a call. We use techniques that are safe for you and your family, and our No. 1 goal is to do the job right while providing you with excellent customer service.